The $3 billion California stem cell agency is moving to revise its rules for royalties and revenues that may be derived from its research, simplifying them while focusing more sharply on likely cash-generating products. The proposal comes before the agency's Intellectual Property (IP) Subcommittee Thursday at a 10 a.m. meeting that has a number of locations throughout California where the public can participate. A document prepared for the meeting said the complexity of the existing IP regulations has led to disagreements, created an excessive administrative burden and treated for-profit and non-profit enterprises differently. 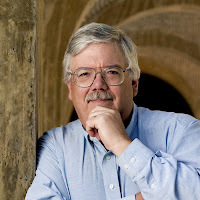 John M. Simpson of Consumer Watchdog in Santa Monica, Ca., who participated extensively in the early development of the IP rules, praised the proposed changes. "The proposed changes in the IP regulations should simplify oversight for CIRM and make expectations for all awardees clearer. It puts nonprofit and commercial entities on the same footing with regard to their revenue sharing responsibilities. Most importantly the new rules will emphasize getting revenue for the state from companies who actually commercialize the results of CIRM-funded research. That’s exactly as it should be. “Nonetheless, despite the overblown promises of Prop. 71 campaigners, the state as yet to realize any revenue from research CIRM has funded. There could be a little money this year." "This change in the IP rules makes sense and is the best way forward, but realistically I doubt the state will ever see significant revenue from the research it has funded." Proposition 71 created the California stem cell effort, known officially as the California Institute for Regenerative Medicine or CIRM. One of the promises of the 2004 campaign was that it would lead to as much as $1.1 billion in revenues to the state. No royalties have yet been announced. Telephonic locations for the public exist in Irvine, Napa, South San Francisco, San Diego and San Francisco in addition to the agency's headquarters in Oakland. Specific addresses can be found on the agenda, which also includes directions for a listen-only audiocast. The California stem cell agency last week approved nearly $21 million for research to tackle afflictions ranging from cystic fibrosis to Zika. Awards were made to only 11 researchers although the agency's reviewers had earlier approved 14 awards totaling $25.5 million. The governing board, however, had allotted only $21 million for the awards, and it decided to stick to its budget. The awards are part of an effort by the agency to finance projects that can move forward rapidly within the next two years. Six scientists sent letters to the board prior to the meeting discussing details of their research and dealing with concerns of the agency's reviewers, who approved awards earlier in a closed-door session, prior to ratification by the board. 09526; Tejal A. Desai, UC San Francisco, DISC2-09559; Mark Mercola, Stanford, DISC2-09542 (rejected); Julie Sneddon, UC San Francisco, DISC2-09635; Jin Nam, UC Riverside, DISC2-09645 (rejected), and Matthew Porteus, Stanford, DISC2-09637. Reviewers rejected any application that scored below 85. All of the three applications denied by the board stood right at the cutoff line with scores of 85. Mercola was the only one of the three to write a letter to the board. The agency did not disclose the names of the other two on its web site since they had not written a letter, which is a public record. The Nam application scored 84 and was not recommended for funding by reviewers. Here is a link to a document that contains summaries of the reviews of all applications scored at 65 or above. The $3 billion California stem cell agency has been "slow to move" into clinical trials, a major reason it has not yet produced a therapy that is widely available to the public, STAT reported today. "The National Institutes of Health has supported three and a half times as many human trials of stem cell therapies, dollar for dollar, as the California agency has funded since it started making grants in 2006. Just two of its clinical trials have been completed." "'I am floored by the disparity,' said Jim Lott, a health care consultant and member of the state board that monitors the agency, known as CIRM. If the numbers are correct, he told STAT, 'that doesn’t settle well with me as a voter. That doesn’t settle well with me as a taxpayer. That doesn’t settle well with me as a member of the oversight committee.'" The committee that Lott referred to is the Citizens Financial Accountability and Oversight Committee, which is the only the state body specifically charged with overseeing the stem cell agency, known formally as the California Institute for Regenerative Medicine or CIRM. Under the ballot initiative that created CIRM in 2004, it operates outside of the control of the governor or the legislature. Its funding also bypasses both the governor and legislature. "In part, that’s because its directors chose to focus on infrastructure early on, as well as bench experiments and animal studies given that the biology of embryonic stem cells was not well-understood and there are formidable roadblocks to moving into human studies. Much more is known about the bone marrow stem cells that are the focus of many NIH-funded clinical trials." Randy Mills, president of the agency since 2014, "declined to comment on STAT’s specific findings, but defended the initial emphasis on labs and basic science as underpinning future clinical work," Piller wrote. Mills has refocused the agency since coming aboard, pushing hard to fund clinical work, including 10 clinical trials in 2016 and projecting 40 new trials before the agency's money runs out in three years. The STAT piece covered some familiar ground for readers of the California Stem Cell Report. But it also had fresh comments from the Center for Genetics and Society, Paul Knoepfler, the blogging stem cell scientist at UC Davis, and George Daley, dean of the Harvard Medical School. The statement came like an unpleasant dose of plain-speaking about stem cell therapies, which sometimes seem to have been hailed as a panacea for all that ails the human race. "We can help just a small portion of patients by stem cell therapy." Yamanaka said that only about 10 diseases would benefit directly from stem cell therapies: Parkinson's, retinal and corneal diseases, heart and liver failure, diabetes, spinal cord injuries, joint and some blood disorders. "But maybe that's all," he said, "The number of human diseases is enormous." California's $3 billion stem cell agency took a crack yesterday at putting the statement in perspective on its fine blog, The Stem Cellar where Karen Ring wrote about the Times piece. 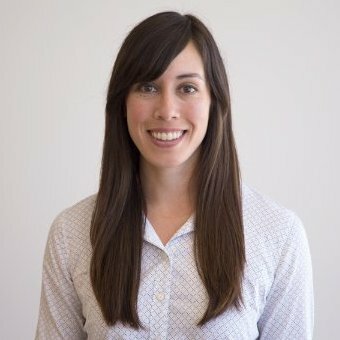 She is the social media guru for the agency and has been a regenerative medicine researcher herself with a Ph.D. in biomedical science from UC San Francisco. "At the World Alliance Forum in November, Yamanaka revealed that generating a single patient iPS cell line can cost up to one million dollars which isn’t feasible for the 1000’s of patients who need them. He admitted that the fate of personalized stem cell medicine, which once seemed so promising, now seems unrealistic because it’s time consuming and costly." "What I took from Yamanaka’s comments is that stem cell treatments can help a small number of patients with specific diseases right now. That’s not to say that stem cell research won’t produce promising treatments for other diseases in the future." Ring cited the emotional success stories related last month at the agency's board meeting and predicted more of those in the next decade. She concluded with a quote from Hank Greely, director Law and the Biosciences at Stanford, one that he recently made to the California Stem Cell Report. We recommend Ring's perspective and the Yamanaka piece. California's stem cell agency plans to expand its Alpha Clinic network this year with two more locations, including probably the first in Northern California, and financing the effort with $16 million. The proposal comes before the agency's Science Subcommittee one week from today (Jan. 25) and could be of considerable interest to enterprises, both public and private, that are ready to move quickly. The $3 billion agency has set a deadline of May 15 for applications. The Alpha Clinic program is aimed at being sort of a one-stop center for clinical trials and stem cell research. Currently sites are all located in Southern California at UC San Diego, the City of Hope in the Los Angeles area, UCLA and UC Irvine. "Twenty-nine clinical trials are being conducted at these sites and hundreds of patients have been enrolled. These trials emanate from CIRM’s funding pipeline as well as non-CIRM funded investigator and industry-sponsored projects." The session next week will provide an opportunity for potential applicants to ask questions and make suggestions. The proposal will also go to the governing board of the agency, but most of the work by board members goes on at the committee level. Applicants may also be interested in a CIRM symposium on Alpha Clinics scheduled for March 23 at the City of Hope. Next week's committee meeting will be based at the agency's Oakland headquarters with five telephonic locations, all public, two in Los Angeles, and one each in San Diego, Irvine and La Jolla, where the public can participate. The meeting will also be audiocast with listen-only capabilities. Details are on the agenda. Also on the agenda are unspecified changes in three other types of CIRM award rounds: Discovery, Translation and Clinical. The agency has not yet posted material spelling out what is to be considered. Trump and state bond issue? 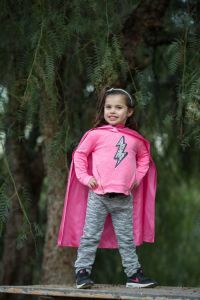 Evangelina Padilla Vaccaro – a pink bow in her hair – was likely the first four-year-old ever to address the leaders of California’s $3 billion stem cell research program. “Thank you,” she whispered. Her mother said more: "Thank you for keeping my family complete." Alysia PadillaVaccaro’s voice cracked, and tears flowed on that cool December morning at the meeting at an Oakland hotel. Evangelina had much to be thankful for. She was born with “bubble baby” syndrome, which meant that she had no functioning immune system. Scientist Donald Kohn of UCLA cured her of the rare affliction by using her own blood stem cells to alter a troublesome gene. It was an experimental treatment not readily available to the public at large. Kohn’s research has been heavily supported with nearly $52 million by the state stem cell agency, known formally as the California Institute for Regenerative Medicine (CIRM) . Evangelina’s story is just what Californians hoped for when they created the Oakland-based agency in 2004 via Proposition 71. Voters were told that stem cell therapies would ease afflictions found in nearly 50 percent of California families. The agency would create the “cures for tomorrow,” said then Gov. Arnold Schwarzenegger. Since its first awards in 2005, the agency has given away money at a rate of $22,000 an hour, seven days a week, 24 hours a day. But it has yet to come up with a therapy that reaches the general public despite rosy expectations raised by the ballot campaign. Today, the future of the program is unclear. The agency calculates that it will run out of cash in just three years. Whether it lives on could depend on the likelihood of another multibillion-dollar bond issue, not to mention the success – or the lack of success – of as many as 60 or more clinical trials and even the policies of the newly elected president of the United States, Donald Trump. In this context, heartwarming stories of patients such as Evangelina could be some of the strongest selling points for CIRM’s continued existence. They could fire the enthusiasm of voters and embolden businesses to partner with CIRM to bring therapies into the marketplace. The number of these emotional stories is increasing. Evangelina was not alone at the CIRM meeting last month. Three more patients stepped up during a look at the agency’s performance. They included a 22-year-old man, also with a rare, immune-deficiency disease, a paralyzed 19-year-old man and a 70-year-old cancer patient -- all of whom had experienced major improvements during clinical trials. All told, the agency has pumped $113 million into the research that has benefited the four patients. Evangelina’s story had special significance for Jan Nolta, head of the UC Davis stem cell program. 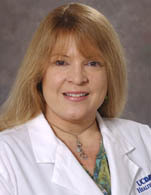 Nolta began her career working with Donald Kohn at Childrens Hospital in Los Angeles in early research involving the “bubble baby” affliction. In Evangelina’s case, she was able to join her fraternal twin sister, Annabella, in living a normal childhood. CIRM funding has also fueled the growth of the UC Davis stem cell program, which barely existed prior to creation of the stem cell agency. Today Davis has chalked up $129 million from the agency. “We have 16 stem cell or regenerative medicine clinical trials ongoing or recently completed, with more than 20 in the pipeline,” Nolta said. Davis ranks as the No. 5 recipient of funds from the agency, trailing only such institutions as Stanford, $314 million; UCLA, $269 million; UC San Diego, $170 million, and UC San Francisco, $139 million. The appeal of the California largess was highlighted last week by George Daley, dean of the Harvard Medical School. He was quoted in a lengthy piece about San Francisco Bay Area biotech written by STAT news service editor Charles Piller. "'I’ve been looking at this from the outside, and franly have been very envious as a scientist based in Massachusetts,' Daley said. CIRM funds have turned many research centers in California, including UCSF, into world leaders in stem cell science, he said, adding: 'I heard the siren song of CIRM early. 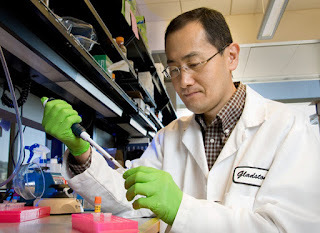 I considered making a move,' as did more than two dozen of his Harvard stem cell colleagues." Like most other recipient institutions, UC Davis has representation on the CIRM governing board. The California Stem Cell Report, which has monitored the agency since 2005, has calculated that about 90 percent of the agency’s cash has gone to institutions with links to past or present board members. Those members are barred from voting on awards to their institutions, but they do vote on the nature of the award rounds and approve the rules. Concerns about conflicts of interest have long been a bugaboo for the agency. Last September,The Sacramento Bee reported that its former president, Alan Trounson, received $443,500 in total compensation after being named in 2014 to the board of directors of StemCells, Inc., of Newark, Ca. Trounson’s appointment to the company’s board came only seven days after he left the agency at the end of June 2014. Trounson was replaced by C. Randal Mills, who had been president of Osiris Therapeutics, Inc., of Maryland. Under Mills’ leadership, Osiris was the first company in the world to commercialize a stem cell drug, qualifying it for use in Canada. More than 250 projects are currently being managed by the CIRM team. Twelve "world-class" research facilities have been created over the last 12 years. Three Alpha Clinics, intended to be one-stop stem cell centers, are in operation. A fourth is scheduled for this year. A $30 million stem cell "pitching machine" to speed clinical trials and help guide development through federal regulations began operations in 2016. Nonetheless, development of stem cell therapies -- much less cures -- is a risky business and could be stymied by a number of issues. The agency itself acknowledges risk factors that include reluctance by businesses to invest in stem cell therapies and safety concerns, including the possible death of a patient in a clinical trial. The agency has experienced a few hiccups since Mills arrived. He acknowledges he is still working hard on attracting businesses to partner with scientists to turn their research into cures. An ambitious effort to create a unique, public-private, $150 million enterprise to develop stem cell therapies and cures stumbled late last year when no qualified applicants surfaced from the private sector. The agency hopes to recast the proposal in such a manner that it will find a partner. and the Biosciences at Stanford. “CIRM’s fundamental problem is that supporters of Proposition 71 wildly oversold what passage of the measure would deliver. Voters were led to believe that miraculous cures were just around the corner if only the proposition passed. In 2012, the highly respected Institute of Medicine, in a $700,000 report commissioned by the agency, recommended sweeping changes at CIRM to deal with conflicts of interest, its dual executive arrangement and the composition of its governing board. The CIRM board initially greeted the report coldly but made some changes to deal with the critical findings. Ironically, another selling point for the ballot measure came inadvertently from former President George Bush, who had restricted federal funding for human embryonic stem cell research. Backers of the ballot measure said it was needed to compensate for Bush’s action. His restrictions were lifted by President Obama. But many researchers are worried that the Trump administration will once again limit federal support for stem cell research. “The election of Donald Trump and the continuation of a Republican-controlled Congress could create an increased need for extending CIRM. If the federal government pulls out of some research on basically religious grounds, California may want to step in again. It depends both on exactly how restrictive the federal government becomes and, more subtly, on how promising the stem cell trials appear. Here is the full text of the remarks made by Jan Nolta, head of the stem cell program at UC Davis, for the overview piece today on California's stem cell agency. "CIRM is making fantastic progress, with numerous stem cell therapies in clinical trials throughout California. The Major Facility Institutes that CIRM built in its earlier years are now thriving centers, each is a hub for stem cell and regenerative medicine therapies in its own region of the state. Currently at UC Davis we have 16 stem cell or regenerative medicine clinical trials ongoing or recently completed, with more than 20 in the pipeline. "As you may know, I started my career as the first technician and graduate student for Donald Kohn, MD, at Children’s Hospital Los Angeles. Together our team did the initial hematopoietic stem cell gene therapy clinical trials for “bubble babies”- children with ADA deficient severe combined immune deficiency (SCID), back in the early 90’s. (refs = pubmed PMID:7489356, and PMID:9662367). We collected the baby’s umbilical cord blood right after it was born, added a good copy of the faulty gene in our clean room area in the laboratory, and Don transplanted the babies at day 3 after birth. "CIRM has funded Don’s continued work in this area, and he has now functionally cured over 20 children with this disease. One of them, with her family, is featured in the recent “cures” video and in their annual report. These kids now need no expensive medicine and treatments to keep them alive, they are functionally cured. "That is just one example of the power of stem cell therapy. There are many examples now of CIRM-funded clinical trials that are successful, and the numbers of people who are cured grow each day. "There is so much potential for making a difference for patients who do not have other options through conventional medicine. It is a truly exciting time to be in California!" Here is the full text of comments from patient advocate Don Reed on the current state of the California stem cell agency. He offered them as part of the reporting process for the overview of the agency which can be found here. In its ten years of active existence (lawsuits blocked its funding for the first two and a half years) the California Institute for Regenerative Medicine (CIRM) has saved lives, eased suffering and brought the realistic hope of cure to millions. Children with the “Bubble Baby” disease have had death sentences commuted and are now living healthy lives. Paralyzed young men have recovered hand and arm function. Blind people have begun to see outlines and colors, where there was only darkness before. It is a quiet triumph: not flashy or fancy: but every step is carefully documented, reliable, repeatable, so it can be built upon. When CIRM began, the obstacles against us were so tremendous one scientist predicted we would be lucky to bring even one stem cell therapy to FDA-approved clinical trials. Instead, more than two dozen conditions have either begun human trials, have completed them or are expected to begin within six months. I remember twenty-two years ago, when my son Roman was first paralyzed. The doctors gave us no hope, saying there was nothing that could be done. Today, there is plenty we can do, and California is doing it. Thanks to the wisdom of the voters who said yes to Proposition 71, the citizens’ initiative which became our state stem cell program, CIRM has challenged many chronic diseases and disabilities--and is making steady progress. As a patient advocate, I am eager for cure. But I know every step of the way will be difficult, as we systematically attack “incurable” disease. We need the faith of the farmer, who plows and plants his field, knowing it will take time for the seeds to open underground, and fight their way upward through the soil, to the sun. Already, we are seeing the first fruits of cure: like the stem cell device to be implanted under a diabetic’s skin, after which it will distribute the insulin required.But I believe the best is yet to come. Here is the full text of the remarks from John M. Simpson made by email for the overview piece today on the California stem cell agency. "It’s a slick (annual) report that allows CIRM to put its best forward as it its leadership tries to make a case for future funding, quite possibly another bond issue. I’d be interested in knowing how much the annual report cost to produce and how many copies have been printed. "CIRM’s fundamental problem is that supporters of Prop. 71 wildly oversold what passage of the measure would deliver. Voters were led to believe that miraculous cures were just around the corner if only the proposition passed. "CIRM-funded research has made important contributions to science, but has yet to deliver what voters were promised. "Agency management has improved under the Thomas-Mills regime and the most blatant conflicts of interest were mitigated after the scathing Institute of Medicine report. "The CIRM annual report cites the number of 'inventions' CIRM has funded — more than 180. What share of royalties have taxpayers received as a result? Anticipated revenue from CIRM-funded inventions was a big selling point for Prop. 71. "No doubt CIRM-funded research has made some important contributions to scientific knowledge. The results, however, in no way justify another bond issue to fund the agency. "If CIRM continues after the current funds run out, it should be financed like any other state agency— out of the states’s operating budget approved by the Legislature on annual basis. CIRM’s operating budget could also be augmented by private contributions." The California stem cell agency next Thursday expects to award nearly $26 million to 14 scientists to seek therapies for afflictions ranging from cystic fibrosis to Zika. The awards have all been approved by the agency's out-of-state reviewers in a round called "Quest." The $3 billion agency's board is scheduled to ratify reviewers' decisions at a telephonic meeting next week. The board almost never overturns its reviewers' decisions. The expected outcome of a Quest award is "a candidate therapeutic, medical device, diagnostic or tool that is ready for translational stage activities." The application receiving the highest score, 95, is seeking to develop "CRISPR/Cas9 mediated FOXP3 gene editing in patient-derived hematopoietic stem cells as a cure for IPEX syndrome." "Using CRISPR/Cas9 gene editing, we will insert a wild type copy of the FOXP3 gene into patient derived HSCs, enabling pre-clinical proof of concept data for clinical trials that could reduce IPEX patient pathologies. This work will the first-in-man demonstration of the curative potential of edited HSCs and will help maintain California’s lead position in stem cell research and cure." IPEX syndrome is a rare disease that can lead to diabetes and severe enlargement of secondary lymphoid organs. The Zika award received the second highest score, 93. It is aimed at determining the "the impact of the Zika virus during human neurodevelopment and to test a FDA-approved therapeutic candidate to treat Zika infection." The research is budgeted for $2.1 million. The largest award, $2.4 million, is aimed at a gene therapy to "regenerate heart muscle for the 23 million adult and pediatric patients with heart failure, for whom there are currently no disease-modifying therapeutic approaches." It received a score of 88. The cystic fibrosis application was scored at 85, which was right at the cutoff line for funding. The proposal is aimed at "genome editing to correct cystic fibrosis mutations in airway stem cells." The application sought $2.2 million. The reviews of 14 applications can be found here along with the reviews of unsuccessful applicants who scored from 84 to 65. None of the names of the applicants have been released yet by the agency, which withholds the information until after the board ratifies the reviewer decisions. Here is a link to the agenda for the meeting, which includes remote locations throughout the state at which the public can participate in the meeting and speak to the board. The meeting is also expected to be available through an audiocast. Remote locations include Oakland, San Diego, Napa, Irvine, Los Gatos, Elk Grove and San Francisco. Specific addresses can be found on the agenda. California's $3 billion stem cell agency has scheduled governing board meetings every month this year as it plans to give away more than $300 million. The board has two types of meetings: telephonic, which are usually routine, ratifying earlier decisions on individual grant applications, and face-to-face meetings, of which there are only four. The face-to-face meetings often involve approval of concepts for new award rounds or significant changes in rules or policies. Readers interested in the agency should think about taking in one of the four face-to-face sessions. They provide an opportunity to chat informally with board members along with the top staff of the agency. The telephonic sessions are run out of the agency's Oakland headquarters, another opportunity for face-to-face encounters with some CIRM board members and staff. In addition to board meetings, subcommittees meet off and on during the year, sometimes by telephone and face-to-face. But there is no set schedule. In both types of meetings, they can be listened to via the Internet and also participated in via remote locations at board member sites. All the meetings can be found at this Web site, which provides transcripts of the sessions. Readers can sign up for automatic notifications at that site. The lengthier look at the performance of the California stem cell agency that was promised earlier this week has been delayed for reasons beyond our control. A long time member of the governing board of the $3 billion California stem cell agency, Jeff Sheehy, today was appointed to the San Francisco board of supervisors. Sheehy is the first HIV-positive person to serve on the powerful, five-member board, which directs the $9 billion budget of the City of San Francisco. Sheehy's appointment means that he will be on the San Francisco board until 2018 when he must stand for election. He fills a vacancy created when a former supervisor, Scott Wiener, was elected to the state Senate last year. It is not uncommon for San Francisco supervisors to be elected to higher office, including U.S. Senator Dianne Feinstein. Sheehy will continue to be an AIDS patient advocate member of the board of the stem cell agency, which he has served on since its inception. He is vice chairman of the grants review group, which makes the de facto decisions on the research awards handed out by the California Institute for Regenerative Medicine (CIRM), as the Oakland-based agency is formally known. 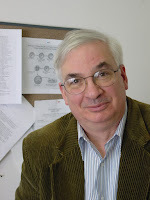 Sheehy is also chairman of the Science Subcommittee of the agency's board and is director of communications for the UC San Francisco Aids Research Institute. Jonathan Thomas, chairman of CIRM, and vice chairman Art Torres, former head of the state Democratic Party, issued a statement saying they were "delighted" by the appointment. They said Sheehy has brought "intelligence, dedication and compassion to everything he does." 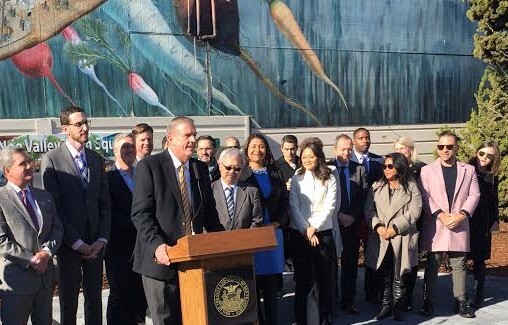 Sheehy was appointed to the supervisorial board by San Francisco Mayor Ed Lee. California's $3 billion stem cell agency has filed its 2016 annual report, which is chockablock with stories about people aided by stem cell research plus discussions of speed, clarity and clinical trials. The posting of the 20-page report on the agency's web site came 12 hours before the end of year on Friday. "Challenges remain but new cures are emerging" was the headline on the document. "All in. All out" was how the agency's work was characterized. Much of what was contained in the report has been written about previously on the California Stem Cell Report. But the annual report provides a useful and valuable summary of the agency's work for those interested in whether it is fulfilling the promises of the 2004 ballot initiative that created the agency, which is unprecedented in state history. Over the last two years, the agency has helped to finance 27 clinical trials and is looking for another 40 by 2020. More than 180 "inventions" have been chalked up. "However, there can be no greater return on our investment than the restoration of health. That is now occurring because of CIRM. Evangelina (featured on the cover), stricken with a previously incurable immune system disorder, is now cured. That’s right, cured. And we are working to quicken the pace at which this treatment is available to others. This is the promise of stem cell therapy."